The genus Trichocereus is a genus in the Cactus family. It includes a large number of columnar cacti and species that grow somewhat prostrate to columnar. They are endemic to South America, with the epicenter in Peru, Bolivia and Chile. However, there are also some plants that can be found in Ecuador. Species in the genus are T. chiloensis, T. glaucus, Tr. fulvilanus, T. deserticolus, T. lamprochlorus, T.shaferi, Tr. grandiflorus, T. candicans, T. totorensis, T. bertramianus, T.vollianus, T. schickendantzii, T. taquimbalensis, T. tacaquirensis, T. werdermannianus, T. terscheckii, T. pasacana, etc. 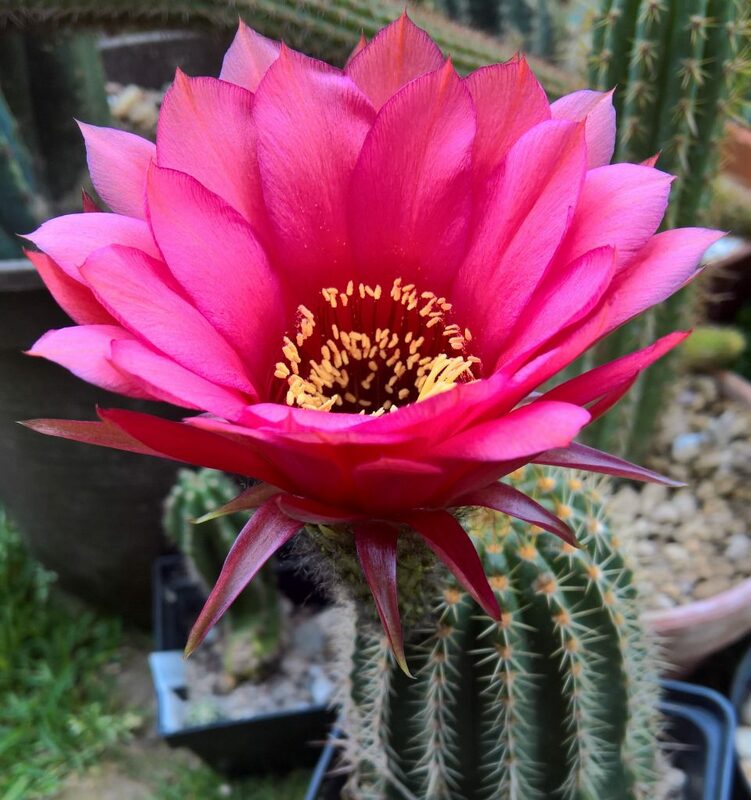 Our site is specialized in rare cactus seeds and hybrids with beautiful flowers. The cactus seeds we have are usually tested and viable. We conduct regular tests to ensure that the seeds are good enough to be left in our shop and to have a good grip on quality control we grow most of the mother plants ourselves. Despite the fact that we have some botanical species in stock, we are mostly specialized in rare hybrids and hybrid seeds.